William DIGBY (1495 – 1558) was Alex’s 14th Great Grandfather; in the Miner line. William DIGBY was born in 1495 in Ketteby Luffenham, Rutland, England [Ab Ketterby is about 25 miles NW of Luffenham, I’m not sure which is meant by the above combination. His parents were Sir John DIGBY and Katherine GRIFFIN. He married Rose PRESTWICH 1518 in England. After Rose died, he married 1522 in Eye Kettleby, Leicestershire, England to Ellen Roper. William died 1558. Rose PERWICHE was born 1492 in Brixworth, Northamptonshire, England. Rose died 1517 in Eye Kettleby, Leicestershire, England. Ellen Roper was born 1503 in Eltham, Kent, England. She died May 1563 in Weekley, Northamptonshire, England Her parents were John Roper Esquire and Jane Fineux. She first married John Morton Esquire on 1520 in Ashby Folville, Leicestershire, England. She last married Sir Edward Montagu Knight on 1530 in Boughton, Northamptonshire, England. Ellen was buried 7 May 1563 in Weekley, Northamptonshire, England. 2. Simon DIGBY Esquire 1520 Bedale, North Yorkshire, England. Anne GREY on 3 Jun 1539 in St. Pancras Soper Lane, Middlesex, England. 28 Mar 1570 hanged, beheaded, quartered to the four gates of the York for his participation in the Rising of the North. 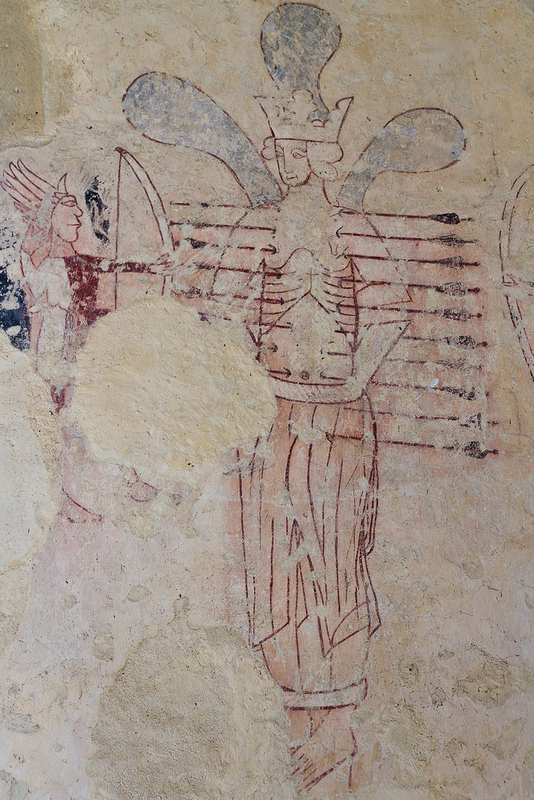 St Andrews Dry Stoke Rutland Wall Paintings - Some think this is proof that Norman era Europeans met Native Americans. St Edmund (died 20 Nov 869) was a king of East Anglia, an Anglo-Saxon kingdom which today includes the English counties of Norfolk and Suffolk and perhaps the eastern part of the Fens. Almost nothing is known of Edmund: contemporary evidence for him is largely confined to the Anglo-Saxon Chronicle and his coinage. The Anglo-Saxon Chronicle, which generally described few matters relating to the East Angles and their rulers, is the only source for a description of the events for the year 869 that led to the defeat of Edmund’s army at the hands of the Danes. It relates that “Her rad se here ofer Mierce innan East Engle and wiñt setl namon. æt Đeodforda. And þy wint’ Eadmund cying him wiþ feaht. and þa Deniscan sige naman þone cyning ofslogon. 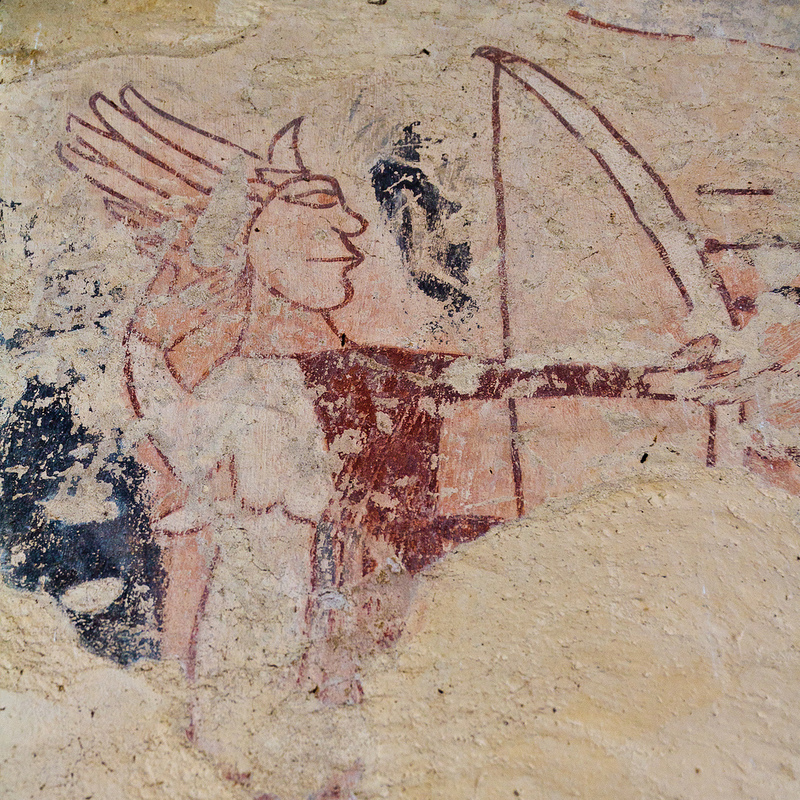 and þæt lond all ge eodon.” – ‘here the army rode across Mercia into East Anglia, and took winter-quarters at Thetford; and that winter King Edmund fought against them, and the Danish took the victory, and killed the king and conquered all that land’. By tradition the leaders who slew the king were Hingwar and his brother Hubba. This entry was posted in Line - Miner, Storied and tagged 16th Generation. Bookmark the permalink. Would you happen to know what happened to the properties at Eye-Kettelby, Leicestershire, England, after William DIGBY died in 1558?